Buying an automobile or house may be a complex process, but you often want to perform detailed research before making such a substantial purchase. 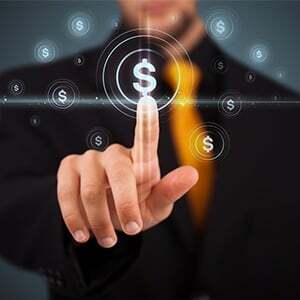 You want to ensure your purchase has the capabilities you require, fits within your budget and offers a good investment. Though homogenizers are valuable tools for manufacturers in multiple industries, different models typically address different needs. For instance, maybe you need a homogenizer to mass-manufacture a product that has been approved for market. Or, perhaps you’re conducting research and development and need to disrupt yeast cells. 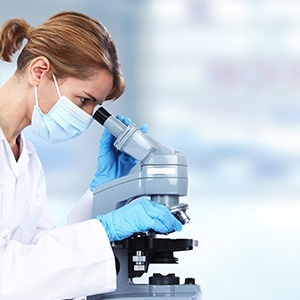 At BEE International, we produce separate homogenizers for each phase of drug development. Make sure the product you choose is best suited to your specific business needs. What differentiates one homogenizer from similar ones on the market? In your research for a homogenizer, be sure to ask each manufacturer about their product’s specific capabilities and benefits. Their customer support personnel should be able to articulate any unique functions and/or specifications their products have and define ways it may be more cost-effective than competing products. Does my product require a specific particle size? To purchase a homogenizer which provides maximum laboratory output, you should ensure you know the required consistency in texture and size for your product to achieve safety and efficacy. Most pharmaceutical products, including vaccines, inhalants and anesthetics, need to be synthesized using a specific particle size. Many high-pressure homogenizers are able to produce emulsions, dispersions and suspensions at particle sizes of 100 µm or higher, but only a select few can achieve a size of down to 0.1 µm. Which accessories are recommended and/or required for optimal performance? Many times, a homogenizer without a lot of bells and whistles will perform the job for which you selected it well. However, some accessories are designed to offer benefits such as time savings, improved process accuracy and enhanced process efficiency. For example, deflector heads can facilitate homogenization of viscous material, generator probes can prevent cross-contamination and pre-assembled bead kits can make the process much easier. Check with each manufacturer to see if any specific accessories are needed for their homogenizing product to run at its highest possible level. Do you have a demo machine we can test to see if your product meets our needs? Before you purchase any homogenizer from any manufacturer, it’s important to try each one out to make sure it’s the best fit for your laboratory. For instance, if you handle high volumes of samples, you should try a homogenizer with a high motor capacity for optimal processing efficiency. If you have a desired mixing speed, you should examine homogenizers that let you easily achieve and maintain this speed or change it as necessary. Other questions to ask when looking to purchase a homogenizer should center around company reputation, product warranties, level of customer service after purchase, user training and education, output capacity and ease of use. Taking the time to select the homogenizer best suited to your needs will be worth the effort. At Bee International, we have extensive experience in the challenges our pharmaceutical customers face as they transition from concept, R&D, clinical trials and all-important FDA approval to manufacturing. Plus, we’re trusted by pharmaceutical researchers and laboratory managers around the world. Contact us today to learn more about our complete line of homogenizers. Homogenization – also known as cell fractionation or micronization – is the process of dividing particles into microscopic sizes, ranging anywhere from 0.5 microns to 2 microns, depending on the application. Homogenizers play an important role in the pharmaceutical industry and are commonly used for dispersions, emulsions, particle size reduction, and cell rupture. Effective homogenization results in a smaller particle size and more even distribution of active ingredients. For topical pharmaceutical products, such as medicated creams, lotions, and ointments, this allows for those medications to absorb more rapidly into the skin. A reduction in particle size increases the surface area of critical (and often expensive) active ingredients, which allows for an even dispersion of the active ingredients in the product. This in turn increases the efficacy of pharmaceutical products and lowers cost as well. High-quality homogenizers have the ability to reduce the particle size of critical active ingredients, which in some cases can help improve the stability of these otherwise unstable active ingredients. Some critical active ingredients used in the pharmaceutical industry are solid at room temperature and only moderately soluble in water or organic solvents. Effective homogenization can reduce these otherwise difficult to work with active ingredients into a small enough size that they have increased solubility in these mediums. Additionally, many of these mediums can work further to increase the shelf life and stability of the active ingredients. BEE International has a number of first-class homogenizers that can meet the needs of manufacturers in the pharmaceutical industry. Our industrial homogenizers are designed for cGMP manufacturing and offer reliability suitable for all industries, including those with a 24/7 operating schedule. Our proprietary software offers touch screen guided operation, data collection, security, on-line maintenance schedules and alarms, and configurable recipes and capacities. BEE International industrial homogenizers and high pressure homogenizers are manufacturing pharmaceutical, chemical, life sciences, food, cosmetic products, and more. Contact us today to discuss the benefits our homogenizers can bring to manufacturing your company’s products. Homogenization, the process of reducing particle size, is gaining popularity in the pharmaceutical field, where its benefits can be realized in the research and development of new medicines, drugs, and treatments. But how exactly do high pressure homogenizers benefit the pharmaceutical manufacturing process? And what advantages do BEE International homogenizers over equipment offered by competitors? Continue reading for more information on the many ways homogenization, and our homogenizing equipment, can benefit those in the pharmaceutical industry. BEE International offers a number of homogenizers that are well suited for use in the pharmaceutical industry, including the Micro DeBEE, Nano DeBEE, and Mini DeBEE. These homogenizers effectively use multiple mechanical forces – turbulence, cavitation, shear, and impact – to achieve the best results. These forces, used in combination, allow for effective particle size reduction in fewer passes, resulting in increased product efficiency and quality. Not only are our homogenizers highly effective at reducing particle size, they are also well suited for effective, yet gentle, rupturing of cells. Our homogenizers are capable of lysing virtually any type of cell, including yeast, bacteria, algae, fungi, E. coli, and even delicate mammalian tissue. BEE International’s line of high pressure homogenizers offer the highest quality available in today’s market. Our equipment offers a host of features, including a maximum operating pressure of up to 45,000 psi, capacities of up to 400 mL/min, and parallel, reverse, and dual feed process settings. In addition, the mechanical forces offered by our homogenizers can be adjusted and fine-tuned to meet the unique needs of the pharmaceutical industry. This allows for results that are not only high quality, but repeatable, adjustable, and scalable as well. Your relationship with BEE International does not simply end after you purchase one of our high pressure homogenizers. Our equipment carries an extensive warranty, which covers any damage to the machine (not caused by the customer) 100%. In addition, BEE International provides extensive training and installation support, with additional support available over the phone as needed. We stand behind our product, and our customer’s satisfaction is of the utmost importance to us. 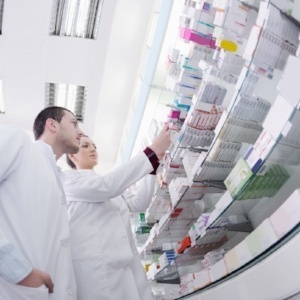 What Role Do Homogenizers Play in the Pharmaceutical Manufacturing Process? The mechanical process where partciles are divided into microscopic sizes, is known as homogenization. It can also be referred to as micronization or cell fractionation. This process is completed under conditions of intense stress and extremely high pressures – up to over 20,000 psi in some applications. The process of homogenization is a critical one – one used in a variety of industries, including food, dairy, cosmetic, biotech, and pharmaceutical industries. Homogenization – particularly pharmaceutical homogenization – results in an improvement of product stability, shelf life, product cost, and taste. Homogenization represents a marked improvement over other dispersion methods, such as stirrers, colloid mills, sonicators, or rotor-stator devices. The role that homogenizers play in the pharmaceutical manufacturing process is an important one. With homogenization comes a smaller particle size and more even distribution of critical active ingredients. For topical pharmaceutical products, such as anesthetic creams and other topical ointments, this allows for these medications to absorb more readily into the skin, thanks to the increased surface area of the particles – another effect of successful homogenization. In the pharmaceutical industry, this translates to efficient use and even distribution of expensive active ingredients, thus reducing overall costs while increasing overall efficacy. 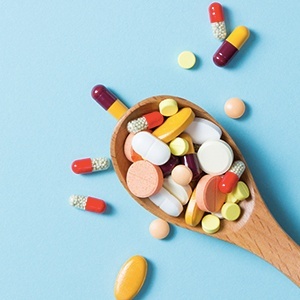 Homogenizers also play an important role in other pharmaceutical products, such as medicinal syrups, capsules, antibiotics, and a variety of other medications taken internally. The high pressure, turbulence, and impact during the homogenization process work together to make these types of pharmaceutical products stable, clinically effective, and cost effective as well. BEE International offers a wide variety of homogenizers to meet both small and large-scale production needs in laboratory, pilot plant, and industrial settings. For laboratory use, our Micro DeBEE, Nano DeBEE and Mini DeBEE systems offer a consistent, reliable, and repeatable process for a number of applications, including cell disruption, particle size reduction, nano and micro emulsions, and dispersions. For larger-scale homogenization, our pilot plant and industrial homogenizers offer high capacity particle size reduction for micro and nano emulsions and particles. These high pressure homogenizers are designed for cGMP manufacturing, and are used in a variety of industries, including pharmaceutical, life sciences, food, and cosmetic products. Contact us today to discuss the benefits our homogenizers can bring to manufacturing your company’s products. Effective homogenization results in a smaller particle size for a more even distribution of active ingredients. For topical pharmaceutical products, such as medicated creams, lotions, and ointments, this allows those critical medications to absorb more rapidly into the skin. A reduction in particle size increases the surface area of critical (and often expensive) active ingredients, which allows for an even dispersion of the active ingredients in the product, which increases efficacy of pharmaceutical products and lowers cost as well. As mentioned above, high-quality homogenizers have the ability to reduce the particle size of critical active ingredients. Not only does this particle size reduction allow for even distribution of ingredients, it can also help improve the stability of otherwise unstable active ingredients. 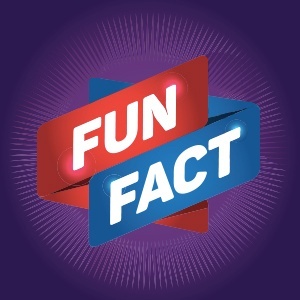 Some crucial active ingredients used in the pharmaceutical industry are solid at room temperature, and only moderately soluble in water or organic solvents. Therefore by using effective homogenization, manufacturers and researchers can reduce these otherwise difficult to work with active ingredients into a smaller size. This way they have increased solubility in these mediums, many of which can work further to increase the shelf life and stability of the active ingredients. Using a homogenizer means manufacturers and researchers have more control in their settings. Because a homogenizer utilizes many forces from shear to cavitation to impact, there are many more factors to adjust to create the most efficient particle size reduction method. So while testing can be a bit longer to find the right settings, the scalability and efficiency of the right homogenizer settings can make a huge difference in time and money when it comes to manufacturing. Looking for a Homogenizer for Your Pharmaceutical Applications? BEE International has a number of first-class homogenizers that can meet the needs of manufacturers in the pharmaceutical industry. Our industrial homogenizers are designed for cGMP manufacturing, and offer reliability suitable for all industries, including those with a 24/7 operating schedule. Our proprietary software offers touch screen guided operation, data collection, security, online maintenance schedules and alarms, and configurable recipes and capacities. Homogenization in the pharmaceutical industry is used to improve the appearance, texture, stability and efficacy of medicinal products. Homogenization is the process of reducing the particle or droplet sizes of pharmaceutical products. In a high pressure homogenizer, this occurs under very high pressures, cavitation, shear, turbulence, acceleration and impact. 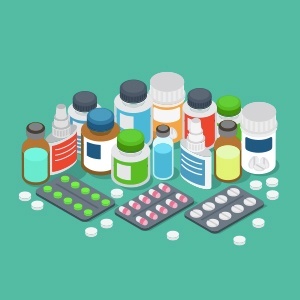 Read on to discover 10 fun facts about homogenizers in the pharmaceutical industry. Auguste Gaulin introduced the world’s first homogenizer at the Paris World’s Fair in 1900. The machine consisted of a 3-piston pump designed to push a combined stream of milk and cream through a set of tiny capillary tubes – an early version of a homogenizing valve. In the 1960’s, the use of homogenizers began to spread beyond the dairy industry to include the chemical and pharmaceutical industries. Available machine pressure ratings climbed to 8000 psi. In the 1990’s, the bio-pharmaceutical industry began to require homogenizing pressures upwards of 10000 psi, encouraging innovation in the manufacture of homogenizers. As the particle size of a pharmaceutical product is reduced, so the bioavailability increases. DeBEE high pressure homogenizers can produce emulsions with particle sizes so small and uniform, that emulsions actually become clear because all droplets are smaller than 0.1 micron. 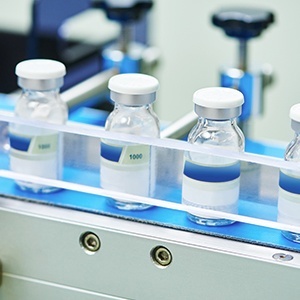 Pharmaceutical manufacturers prefer high pressure homogenization over conventional stirrers, mixers and colloid mills, as the resulting product is more stable. High pressure homogenizers can significantly reduce the number of preservatives and stabilizers needed for the product. DeBEE high pressure homogenizers can produce nano emulsions with particles so small and uniform, you can sterilize your products by simply running them through a 0.22 micron filter. 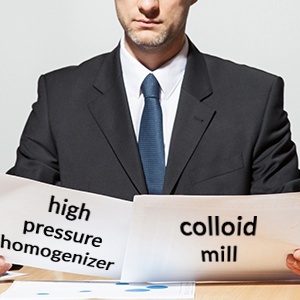 What Is a Colloid Mill & How Does It Compare to a Homogenizer? A colloid mill is a type of rotor-stator mixer often used in the manufacturing of emulsions and dispersions. It can also be used to reduce the particle size of solids in suspension. Inside the colloid mill, a high-speed rotor pushes the fluid through small holes in a stationary stator, creating extremely high levels of mechanical shear. The sizes of these holes or gaps is adjustable, so that the user can control the level of shear. The higher the shear, the smaller the resulting particle size. Click here to see a colloid mill in action. Colloid mills are used across many manufacturing industries, especially in the pharmaceutical, food and chemical industries. It is great for making small to medium-sized batches of product, which could include anything from toothpaste to peanut butter. Colloid mills work well with highly viscous products, and some can even be used to grind fibrous materials, when fitted with a rough-surfaced rotor and stator. The major disadvantages of a colloid mill are that it is not suitable for continuous use, running it consumes a lot of energy, and there is a possibility of product contamination. A high pressure homogenizer has a somewhat different mechanism of action, and also uses more than just one force. BEE International’s proprietary homogenizing cell technology drives the fluid at ultra high pressure through a small nozzle, causing cavitation. The fluid becomes a high velocity jet stream and flows through an absorption cell. This absorption cell contains alternating small and large orifices that create turbulence and cause fluid-on-fluid impact and shear. Process intensity is adjustable from 2,000 - 45,000 psi / 150 - 3100 bar. All of these forces are adjustable, allowing the user to optimize according to the desired end result. High pressure homogenizers are able to produce very small, sub-micron particle sizes (<0.1 micron). In addition to particle size reduction, DeBEE high pressure homogenizers are also well suited to cell lysis. Adjustable forces allow for the gentle yet complete rupture of an array of different cell types, including E. coli, yeast, bacteria, mammalian tissue, insect and fungi cells. Colloidal Carriers 101: What Are They & How Are They Used? Colloidal drug carriers, or colloidal carriers, effectively allow for the transportation of a loaded drug to the target site within the body. They are able to modify the distribution of an associated substance, allowing controlled release and site-specific delivery of drugs. This could improve the therapeutic index of these drugs by increasing their efficacy and/or by reducing their toxicity. The efficacy of these colloidal carriers depends on their ability to remain within the blood circulation (controlled release system) or to reach target cells (e.g. the bone marrow). The drug distribution follows that of the carrier, rather than depending on the physicochemical properties of the drug itself. Colloidal drug carriers can include liposomes, niosomes, nanospheres, multiple emulsions and ceramics. Click here for a great read on colloidal carriers. Bioavailability refers to the fraction of administered drug that reaches the blood circulation. It can range from 0% to 100% (i.e. in intravenous drugs). Particle size plays an important role in bioavailability and the dissolution rate of a drug. BEE International is experienced with every aspect of particle size reduction, meaning we can produce a homogenous mix of particles that are smaller, more uniform, and therefore more bioavailable. Our high pressure homogenizers are capable of producing nano / micro emulsions and dispersions, lipids and suspensions for injectables, vaccines, targeted drug delivery, inhalants, time release, anesthetics and antibiotics. Your emulsions will be stable, with a longer shelf life, and have increased efficacy and potential for controlled release. Our high pressure homogenizers feature sanitary design and features like validation procedures and documentation, data gathering, SCADA, automated CIP – ideal for pharmaceutical manufacturing. Our pharmaceutical process equipment produces unprecedented results by allowing the formulations expert to optimize the mixing process to better suit product characteristics. Our technology is capable of producing nanoemulsions with particle sizes on or below 100 nm. Particle size becomes so small and uniform that emulsions become clear as all droplets are smaller than 0.1 micron. Agitators: To mix liquids, to promote chemical reactions and to increase heat or cooling transfers. Blowers: Used in solvent recovery and other evaporation applications. Boilers: To create steam by applying heat energy to water. Capsule equipment: Different equipment is available to fill, polish, and sort capsules. Capsule and tablet printers: For printing information like drug names or dosage on the capsules or tablets. Centrifuges: Used for separation of liquids of different densities, or for separation of liquids from solids. Chillers: To quickly lower temperatures. Coaters: To coat tablets or capsules with films like a sugar film. Cooling towers: Used for cooling liquids or condensing steam. Dryers and Granulators: For drying liquid preparations into powders or granules. Heat exchangers: Used to transfer heat from one medium to another. High Pressure Homogenizers: The most efficient fluid processing equipment for particle size reduction and cell lysis. Inspection machines: Allow for visual inspection of the product as it is moved along by rotating rollers. Metal detectors: For detecting tramp metal (bits of metal like nuts, screws, or broken fragments of machinery) that may have contaminated the product. Mixers: For blending and particle size reduction. Ovens: For providing necessary heat or drying. Pulverizers / Cone mills: Particle size reduction equipment for granules. Tablet press: For producing tablets. Tablet deduster: For removing any dust created in the tablet press. Often also polishes the tablet. Sifters: For sieving powders or granules. Spray coating machines: Used for spray coating liquid onto a powder. Blister packers: Designed to pack tablets, capsules, softgels, injection solutions, syringes and other small medical items into blister packs. “Deblistering” machines are also available to recover tablets, capsules or softgels from blister packs. 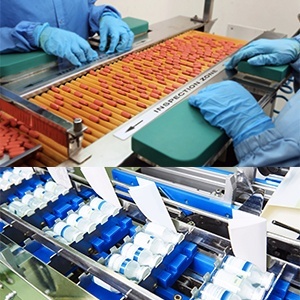 Bottling and filling lines: For filling bottles with liquids or containers with tablets, capsules or softgels. Cappers: Designed to place caps onto filled bottles or containers of medicines. Cartoners: These sophisticated machines can fill small medicine boxes with blisters packs, fold and insert leaflets, and close, code, and seal the box. Counters: Counts capsules, tablets, softgels and any other small, solid items. Induction Sealers: Seals aluminum foil seals to the bottle mouth. Labeling equipment: For attaching or printing labels onto the packaging of boxes, bottles, containers, tubes etc. Tube fillers: For filling and sealing tubes of ointments, creams and gels. Particle size reduction in the pharmaceutical industry, or pharmaceutical size reduction, is an important initial step in the manufacture of most medicines. The pharmaceutical size reduction process is also referred to as comminution, diminution or pulverizations. Pharmaceutical size reduction is used primarily for the purposes of control – control of the rates of dissolution and absorption, control of chemical reactions, and control of physical characteristics. Below we discuss how pharmaceutical size reduction affects the stability, appearance and the various properties of the product. A product with a smaller, more uniform particle size is more stable and less likely to separate out. This translates to a longer shelf life and less waste. The smaller and more uniform the particle size, the smoother and more homogenous the product. This is beneficial for aesthetic as well as practical purposes. Pharmaceutical preparations meant for external application must be free of any sedimentation and gritty particles that may irritate the skin or eyes. Increased therapeutic efficacy: The smaller the particle, the greater the total surface area. With an increased surface area, the rates of dissolution and absorption are increased. Bioavailability improves, and the therapeutic dose can be lowered. Different options for drug delivery: Oral delivery of drugs is not always ideal. Pharmaceutical size reduction can render particles small enough so that drugs can be inhaled or absorbed through the skin. Improved processing: The size of the individual particles affects the bulk properties of the ingredient. A narrow particle size range distribution means that solids and powders are easier to mix effectively, and flow properties are improved. Our high pressure homogenizers offer unique benefits for the pharmaceutical industry. DeBEE high pressure homogenizers are used all over the world to produce nano / micro emulsions and dispersions, lipids and suspensions for injectables, vaccines, targeted drug delivery, inhalants, time release, anesthetics and antibiotics. Our modular equipment allows you to optimize and control the mixing process by varying the cavitation, shear and impact forces applied to your product. 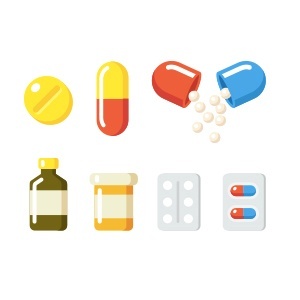 We are keenly aware of the stringent regulations applied to pharmaceutical manufacturing; and we’re looking forward to working with you in bringing your product to market.